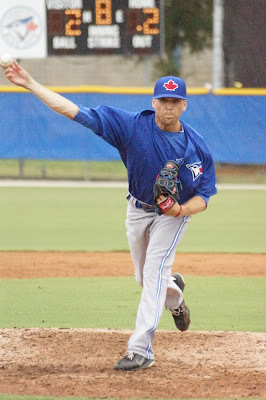 One early sweltering early August Florida afternoon in 2013, RHP Chris Rowley took the mound for the Blue Jays Gulf Coast League entry. After limiting the Pirates' GCL team to one run on four hits over six innings, Rowley jumped into the team traniner's car the following morning (his 23rd birthday) for the airport. His destination: New York, from where he would travel to West Point to begin fulfilling his service commitment after graduating from the US Military Academy that spring. Four years later, after serving his two-year hitch, which included a deployment to Eastern Europe (where he threw to the company medic to keep up his arm strength), Rowley is on the cusp of a big league job, having faced down incredibly long odds just to make it to pro ball. Rowley was lightly scouted even though he was the ace of the Black Knights' staff in his senior year at West Point; his military commitment no doubt dissuaded most teams. He quickly signed with the Jays, who needed pitching for their GCL club after the 2013 draft. He was one of the team's most effective starters (1.09 ERA, 10.6 K/9) for the GCL Jays, but while other pitchers on the club received promotions to Bluefield or Vancouver as the summer progressed, Rowley remained in Dunedin, with the 60 days he had to report after graduating quickly counting down. After two years of service, Rowley was released from further commitment by the Army under a new program that allowed elite athletes in the military to pursue their sports. Rowley reported to Florida for Instructs in the fall of 2015, and has quickly made up for lost time. He was a mainstay in High A Dunedin's bullpen in 2016, and moved up the ladder to New Hampshire this year, where he continued his strong relief work until injuries in the Fisher Cats' rotation forced Manager Gary Allenson to press Rowley into starting duties. Rowley did not miss a beat, and after taking a shutout into the 6th inning in his first start, he didn't allow more than one run in his next three. That helped earn Rowley a promotion to Buffalo, where he returned to the bullpen. Injuries and call ups forced him back into the starting rotation, and Rowley has not allowed a run over his last two starts. Chris Rowley does not blow hitters away. He relies on his command, and a sinker that he says, "I couldn't throw straight even if I tried." He mixes in a rapdily improving change up and a late-breaking slider with good depth. He throws all 3 pitches from the same arm slot, making it very hard for hitters to pick up spin/rotation. Rowley works quickly, standing on the rubber and peering in for the sign from his Catcher as soon as he gets the ball back. His delivery has a slight pause, which can disrupt hitters' ability to time him. Rowley is a good athlete who lands in a good fielding position, and is quick off the mound. Most important of all, he pounds the lower part of the strike zone, walking only 20 over close to 90 innings. Hitters at two levels have found him extremely tought to square up. Blue Jays Director of Player Development Gil Kim calls Rowley, "A solid make up guy, (and) a true professional." He is respectful to all throughout the game, and faithfully answers questions from a writer who's followed him for several years. 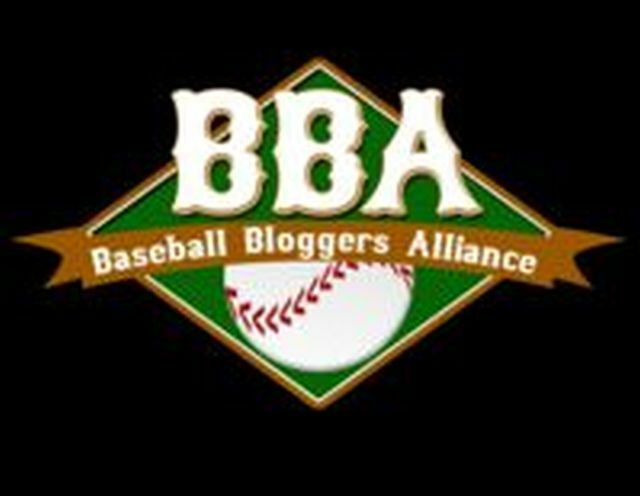 The Toronto media will no doubt quickly latch onto his Cinderella story - in a little under two years, he's gone from the US Army to the brink of the major leagues. Do Trades for Prospects Really Work?